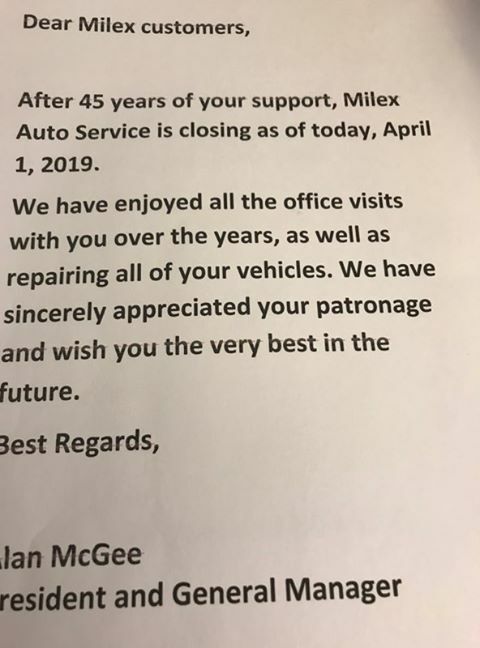 After 45 years of your support, Milex Auto Service is closing as of today, April 1, 2019. We have enjoyed all the office visits with you over the years, as well as repairing all of your vehicles. We have sincerely appreciated your patronage and wish you the very best in the future.